About Independence Day and its history with significance in India! India’s annual public festival Independence Day is celebrated on every 15th August every year which is a national holiday in India remembering the nation’s independence from the United Kingdom on 15 August 1947, the UK Parliament passed the Indian Independence Act 1947 transferring legislative sovereignty to the Indian Constituent Assembly. India still retained King George VI as head of state until its transition to full republican constitution. India attained independence following the Independence Movement noted for largely non-violent resistance and civil disobedience led by the Indian National Congress (INC). Independence coincided with the partition of India, in which the British India was divided along religious lines into the Dominions of India and Pakistan; the partition was accompanied by violent riots and mass casualties, and the displacement of nearly 15 million people due to religious violence. On 15 August 1947, the first Prime Minister of India, Jawaharlal Nehru raised the Indian national flag above the Lahori Gate of the Red Fort in Delhi. On each following Independence Day, every Prime Minister regularly raises the flag and gives an address to the nation. The holiday is witnessed throughout India with flag-hoisting ceremonies, parades and cultural events. This is a national holiday. During the 1929 Lahore session of the Indian National Congress, the Purna Swaraj declaration, or “Declaration of the Independence of India” was announced, and 15 August was declared as Independence Day. The Congress called on people to pledge themselves to civil disobedience and “to carry out the Congress instructions issued from time to time” until India attained whole independence. Celebration of such an Independence Day was intended to encourage nationalistic fervour among Indian citizens, and to force the British government to consider granting independence. The Congress observed 26 January as the Independence Day between 1930 and 1946. The celebration was marked by meetings where the attendants took the “pledge of independence”. After that actual independence had come in 1947, the Constitution of India came into effect on and from 26 January 1950; since then 26 January is celebrated as Republic Day. In the era of 1946, the Labour government in Britain, its exchequer tired by the lately concluded World War II, realized that it had neither the mandate at home, the international support, nor the reliability of native forces for continuing to control an increasingly restless India. In 20 February 1947, Prime Minister Clement Attlee pronounced that the British government would grant full self-governance to British India by June 1948. The new viceroy, Lord Mountbatten, advanced the date for the transfer of power, believing the continuous conflict between the Congress and the Muslim League might lead to a collapse of the interim government. He chose the second anniversary of Japan’s surrender in World War II, 15 August, as the date of power transfer. The British government pronounced on 3 June 1947 that it had accepted the idea of partitioning British India into two states; the successor governments would be given dominion status and would have an implicit right to secede from the British Commonwealth. The Indian Independence Act 1947 of the Parliament of the United Kingdom partitioned British India into the two new self-governing dominions of India and Pakistan (including what is now Bangladesh) with effect from 15 August 1947, and granted complete legislative authority upon the respective constituent assemblies of the new countries. The Act received royal assent on 18 July 1947. After that it was decided that 15th august of every year will be celebrated as an independence Day as National Holiday. 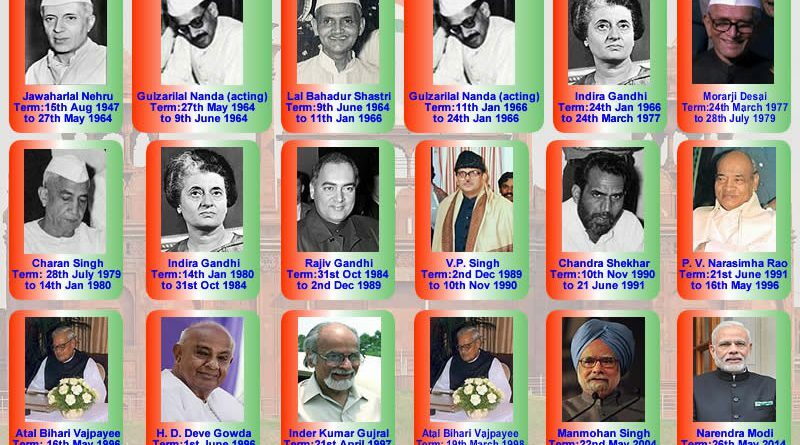 About Independence Day and List of Prime Ministers of India! 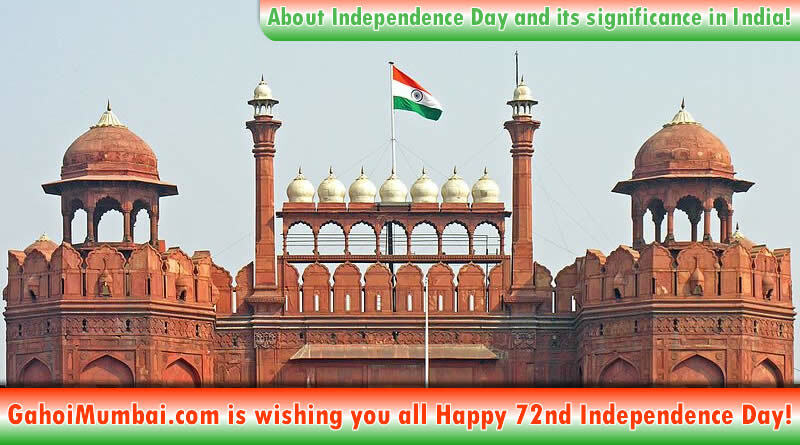 Independence Day is observed in all Indian states and union territories. On the eve of Independence Day, the President of India delivers the “Address to the Nation”. On 15 August, the Prime Minister hoists the Indian flag on the ramparts of the historical site of Red Fort in Delhi. Twenty-one gun shots are fired in honour of the solemn occasion. As per traditions, in the speech, the Prime Minister highlights the past year’s achievements, raises important issues and calls for further development. He pays tribute to the leaders of the Indian independence movement. The Indian national anthem, “Jana Gana Mana”, is sung. The speech is followed by march past of divisions of the Indian Armed Forces and paramilitary forces. Parades and pageants showcase scenes from the independence struggle and India’s diverse cultural traditions. As per traditions, in the state capitals, the Chief Ministers of individual states unfurl the national flag, followed by parades and pageants. Previously, the Governor of the State hoisted the National Flag at the State capital. 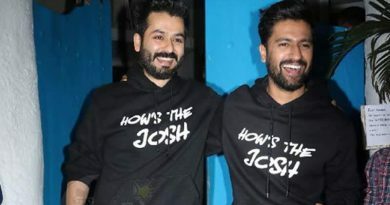 But in February 1974, the Chief Minister of Tamil Nadu, M. Karunanidhi took up the matter with then Prime Minister Indira Gandhi that the Chief Ministers should be allowed to hoist National flag on Independence Day just like how Prime Minister hoists National flag on Independence Day. Afterward, Chief Ministers hoist National flag on Independence Day. Generally, it observed that Flag hoisting ceremonies and cultural programs take place in governmental and non-governmental institutions throughout the country. Schools and colleges conduct flag hoisting ceremonies and cultural events. Citizens adorn their clothing, wristbands, cars, household accessories with replicas of the tri-colour. Now Government has allowed to conduct flag hoisting ceremonies at their choice places as per flag hoisting related rules and regulations for increasing awareness about importance of our independence day 15th August and its significance among the Indian citizens. The Indian diaspora celebrates Independence Day around the world with parades and shows, particularly in regions with higher populations of Indian immigrants. On Independence Day and Republic Day, patriotic songs in regional languages are broadcast on television and radio channels. They are also played alongside flag hoisting ceremonies. Patriotic films are broadcast. It is observed the distribution of sweets especially Sweet Boondi among the people who gather for flag hoisting ceremony. The visit of Red fort on the occasion of Independence Day is a good pilgrimage for travel unique places lovers. GahoiMumbai.com and team wish for Happy Independence Day to all Indian citizens and Gahoi Bandhus on this auspicious day. ← Gahoi Mumbai Samaj celebrated Rashtra Kavi Maithili Sharan Gupt’s birth anniversary with donation initiative! 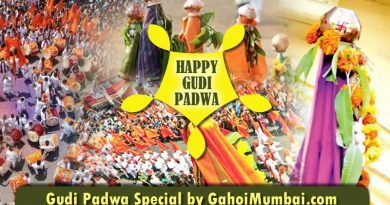 Gudi Padwa – A Marathi Hindu annual festival of beginning new year! 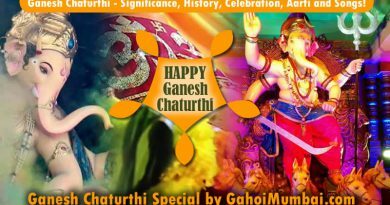 Ganesh Chaturthi (Ganesh Birthday) – Significance, History, Aarti and Celebration! 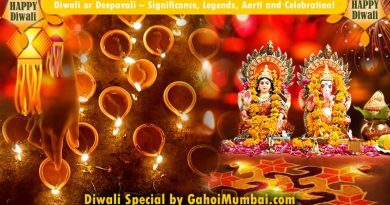 Diwali or Deepavali – Significance, Legends, Aarti and Celebration!